Please note that our menu is subject to change! Light, fluffy bread sticks with parmesan seasoning. Dippin' sticks topped with our pizza cheese blend. Cheesy paw sticks with jalapeno peppers. 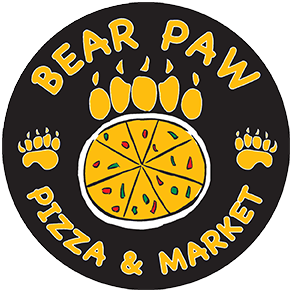 All Pizzas are 12" or 16"
BLT Pizza - Bears Love This!